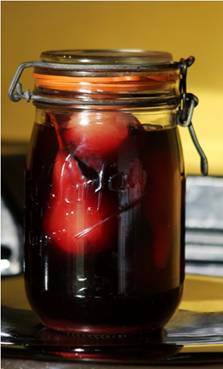 It is all very well enjoying the fruits of the garden during the summer months, but of course you can enjoy them in the winter as well by storing them, this is a great last minute pudding, all you have to do is to take out of the cupboard and serve it either warm or cold. Mulled pears are delicious with vanilla ice cream, cream or crème fraîche. Ø Peel the pears, but keep their stalks. you can into your storage bottles. into a pan and heat up on a low heat until all the sugar has been dissolved. Then boil for 5 minutes. out because they are extremely hot. open the jar, if it is not possible they are sealed. pan, add the spices sugar and wine. Ø Put a lid on. Ø Simmer the pears for approximately 20 minutes. hot or let them cool. 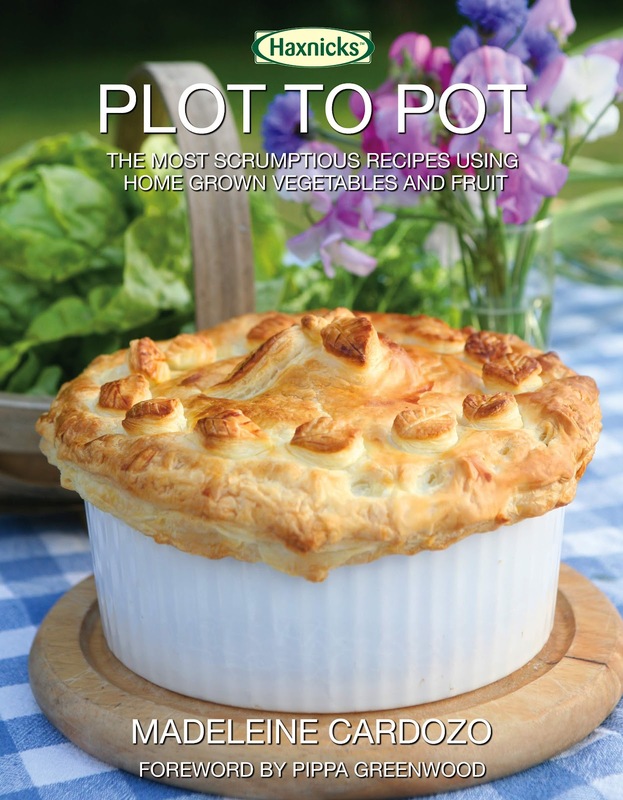 'Plot to Pot' is out now - available online and in garden centres and bookshops (check with our stockists first). This entry was posted in Recipes and tagged Plot to Pot on 29th November, 2011 by Haxnicks. 1. Group plants together Choose a location at the top of the garden facing north, west or south. Plants in containers may be grouped together so that You can easily create a microclimate for your plants which allow them to provide shelter for each other and make it easier for you to cover and water them in one go. 2. Cover plants in Fleece Make sure you cover plants in fleece or hessian/jute. This will protect them from frost and allow light and moisture to filter through. If you want to make it even easier, you can use fleece jackets such as the one in the picture, which just pull over the top and fasten at the bottom. Note: Pots (especially terracotta ones) can suffer from frost damage so make sure you cover these in the same way. 3. Move tender plants to the greenhouse or indoors if you have the space. You can also overwinter (gardening jargon for plant hibernation) by covering them with a cold frame, plant house or a polythene grower system cover. 4. Use mother nature! It sounds crazy, but in fact snow can help to insulate your plants, especially from cold drying winds. Make sure you still clear snow from tree branches and conservatory/greenhouse roofs, though, as snow can become heavy and cause damage. Use mulch (old leaves, home made compost) and straw to provide natural cover for tree roots, especially evergreens in pots and with roots above the surface of the soil. 5. Keep plants watered In the winter plants lose moisture in the cold, dry air so make sure you water them if they need it and this will improve their natural defense against the harsh effects of winter weather. Too much water (rainwater included) is a bad thing though - you don't want the ground around the roots to freeze. We are well known for being experts in plant protection - so why not drop us a line or comment in the box below if you have any questions, would like more details or even if you have your own tried and tested tips for protecting your plants from cold weather. This entry was posted in Grandpa Haxnicks and tagged Easy Fleece Jackets, Grower Poly Cover on 18th November, 2011 by Haxnicks. I am really hoping that you didn’t just throw away all those wonderful pumpkins seeds. I keep about 50 of them, placed in a saucer to dry out on the windowsill ready for sowing in April next year. Separate the seeds from the flesh of the pumpkin but don’t wash. Put them into the oven (375°F, gas mark 5, 190°C) for about 20 minutes until they are golden brown. You can keep them for months but they will tend to lose their flavour after 6 weeks. Haxfact! 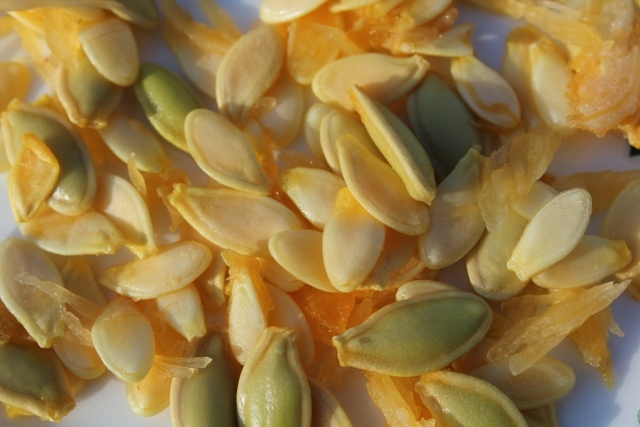 : Pumpkin seeds are a super food full of iron, zinc, calcium and magnesium and are also a source of protein and omega 3. If you want to store apples, you need to store them directly from the tree. The apples need to be handled very carefully, each one wrapped in newspaper and then place in a dark cool place such as a shed, cellar or garage. They need to go somewhere where they will not be disturbed until you need them. Alternatively you can peel, core and slice them, then put them in the freezer ready for that wonderful French apple tart that you are dying to make. If you would like onions for the summer you had better get your skates on and plant out the sets now. You can still sow winter lettuces under cloches, when these have come up plant them out in the greenhouse or under poly tunnels, my rocket is doing amazingly well. The next post will be about protecting your garden from frost and winter weather - subscribe to the blog to be notified as soon as it has been posted! This entry was posted in Recipes and tagged Madeleine's Corner on 5th November, 2011 by Haxnicks.